Andrew Ehrenberg was a giant in the field of marketing science. He believed that scientific methods could reveal law-like patterns of how people buy. In this post, we summarise one of Ehrenberg’s most important discoveries and its implications on how people buy brands. The unique selling proposition (USP), has long been embedded in marketing and advertising development. Popularised by Rosser Reeves in the 1960s, it requires a brand to find a unique difference to own in order to be bought. “Advertising is the art of getting a unique selling proposition into the heads of the most people at the lowest possible cost.” Nice in theory, but Ehrenberg debunked this concept by carrying out a series of studies using panel data. What were the findings? People don’t have differentiated reasons for choosing brands. Users of brands endorse the same attributes as users of competing brands. Simply put, I like my brand for the same reasons you like your brand. 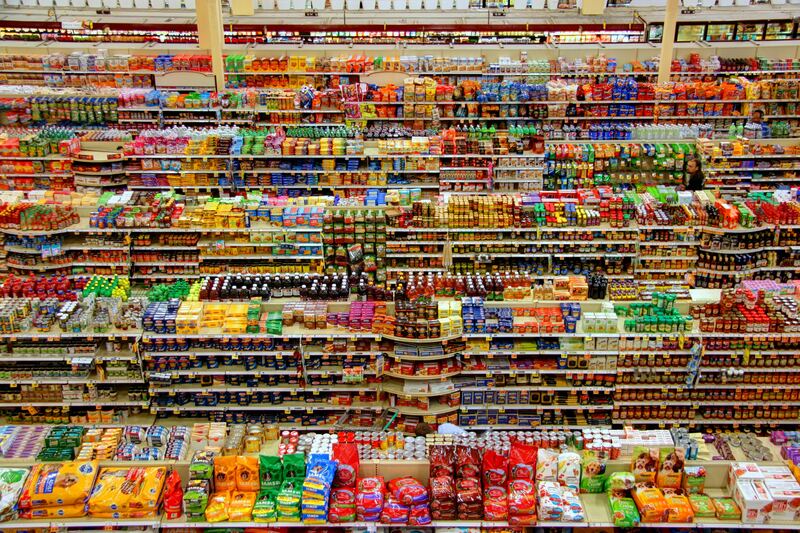 If brand differences were the reason why people buy, you’d expect that brand knowledge would be evenly distributed across all of a brand’s customer base. But it’s not. Around 20% of a brand’s customer base holds 40% of the knowledge. The remaining brand knowledge is spread across 80% of its customer base. Some people know a lot about a brand, but the majority (80%) know very little. But they still buy. This undermines much of the received wisdom we have around having something unique and ownable to say about a brand. This matters a lot. Because our quest for difference leads marketers to stretch the truth so we can find something the competition does not and cannot say. It leads to advertising that is heavy handed and logical, at the expense of being interesting and enjoyable. Differentiation does exist, but it’s not a cure-all. Nor is it the biggest driver of brand growth. Why? Because people don’t care that much for brands. And they don’t spend much time thinking about brands. Brands at their best act like shortcuts, letting people avoid thinking entirely. So if differentiation isn’t the driver of growth, then what? There’s a huge amount of research to show that growth can be predicted by measuring brand salience: the ability for a brand to be thought of in a buying situation. 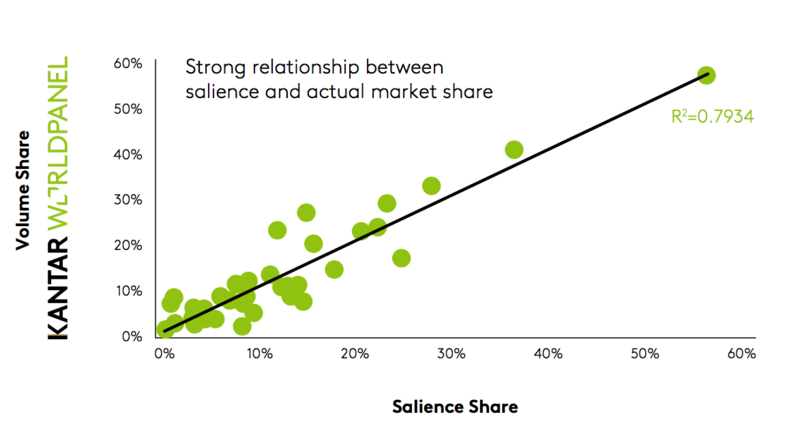 Salience is about the quality and quantity of brand associations people have of a brand. So if brand A has five million people to whom the brand is salient, and brand B has one million, A will be bought five times more. As Ehrenberg explained, ‘each brand’s customers do not look at their brand being very different. Instead, what differs is the number of people to whom the brand is salient’. You don’t need to find something unique and different to say. What you need is a way to say it differently. Tell a good story, create a long running joke, or use music to stir the emotions. The right music can boost ad effectiveness by +20%, and can easily determine if an ad pays for itself. By freeing your communication from the shackles of differentiation, brands are liberated to find creative ways to be noticed, interesting and memorable; for more people. Because if you’re easy to think of, you’ll be easy to buy.